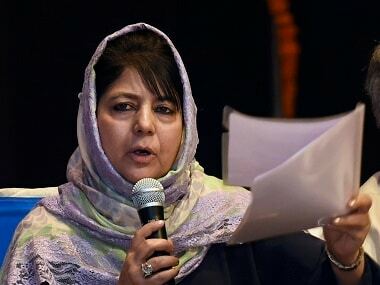 Disgruntled PDP MLAs on Friday said that they are ready to form a government in Jammu and Kashmir with the BJP, provided the latter does not set any new 'terms and conditions' and the chief minister is a Muslim from Kashmir. 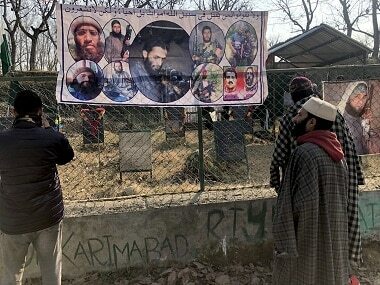 Abid Ansari, top Shia leader and MLA from Zadibal, said that at least 24 MLAs of the PDP are of the view that former chief minister Mehbooba Mufti promoted dynastic rule. He said that the MLAs have expressed willingness to enter into a fresh alliance with the BJP, but the terms and conditions of the new government should be same as were set during former chief minister Mufti Mohammad Sayeed's tenure. “The BJP has to show its commitment to the implementation of the Agenda of Alliance. There should be no fresh terms and conditions for government formation in the state,” said Ansari, adding that any demand by the BJP for a Hindu chief minister wouldn’t be accepted. 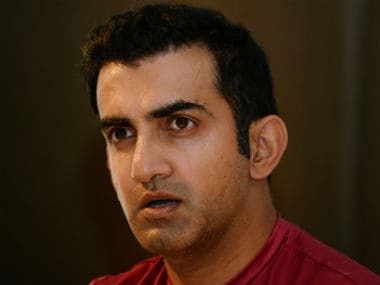 The Zadibal MLA said that when the BJP had entered into an alliance with PDP for forming the government, it had not insisted on a Hindu chief minister. Ansari said that former minister and People’s Conference leader Sajjad Gani Lone could also be a part of the government in the state, and the disgruntled PDP MLAs have no objection if he becomes the chief minister. The names of former finance minister and Rajpora MLA, Haseeb Drabu, and Abid’s nephew and former minister Imran Ansari are also in consideration for the post of chief minister. The BJP is presently in talks with the disgruntled PDP MLAs. Earlier, the party's national general secretary, Ram Madhav, also visited Kashmir and held deliberations with Lone over government formation. Though some BJP leaders said that they would prefer a Hindu chief minister from the Jammu region in the state, BJP national vice-president and Jammu and Kashmir in-charge, Avinash Rai Khanna, said that the party is not in a hurry to form the government in the state. Sources in the BJP said that in case talks between the PDP and BJP go well, minister of state in the Prime Minister’s Office (PMO) Jitendra Singh could be moved back to the state as chief minister. Alternatively, former deputy chief minister, Kavinder Gupta, could be made the chief minister. A senior BJP leader in Kashmir said that the party is "in touch with the PDP leaders who are ready to break away and form the government". The BJP and People's Conference (PC) have a combined strength of 27 MLAs, and would require another 17 MLAs to form the government. Earlier, the PDP was exploring the possibility of forming a government with the Congress and independents. But the hopes of Mehbooba have been dashed after a rebellion in the PDP. A significant factor in the present circumstances is that the Speaker of the Assembly is from the BJP. 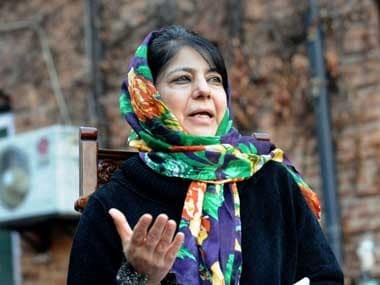 Any efforts by Mufti to disqualify less than two-thirds of the MLAs who could break away from the party would have to be accepted by the Speaker. According to the law on disqualification of MLAs in Jammu and Kashmir, even two-thirds of the members of a party-splitting from the outfit would be deemed as a defection. The MLAs may lose membership of the Assembly. The PDP MLAs are also exploring the possibility of forming a new party in association with People's Conference and some independents. Such a move could be treated as a merger, and the political formation can be called a third front. Through this, the MLAs can avoid disqualification. 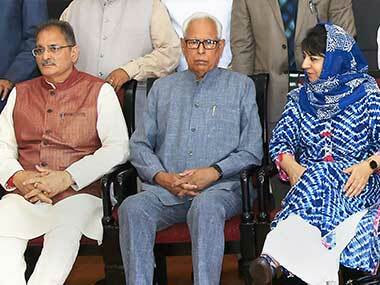 Sources said that some MLAs from the breakaway faction of the PDP may be made ministers. Further, some may be offered posts of chairpersons of public sector undertakings.